Festival showcases Asian and Asian American stories told through award-winning cinema for its 18th year. 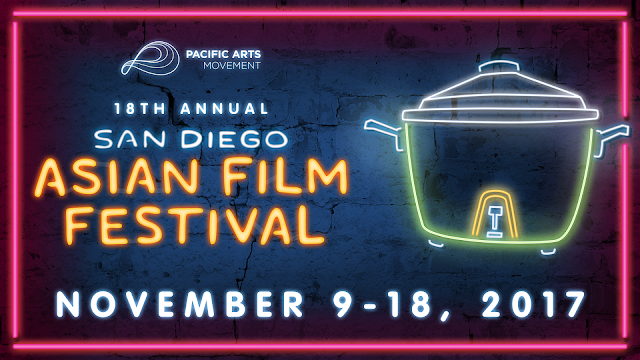 Pacific Arts Movement is proud to present the 18th Annual San Diego Asian Film Festival (SDAFF) from November 9-18, 2017. SDAFF, the largest platform of Asian cinema on the West Coast, will present more than 150 films from 20 countries in 30 languages to delight and intrigue audiences around San Diego.